Home/Power Washing/Why Choose the Big Clean Team? When it comes to hiring a pressure washing company, there’s only one choice – that’s Big Clean of Charlotte. Our expert cleaning technicians know how to get the job done properly, on time. When it comes to value, we’re unbeatable. We provide exceptional service, accurate and competitive pricing, and flexibility. Our power washing services are unparalleled. When you call on us to get clean, we get all of the grime. We’ll scour your surface to make sure we get every bit of dirt; and that means we will leave your surfaces looking brand new. We provide fair pricing on our projects, and a value that you simply can’t find anywhere else. We’ll provide you with an accurate, fair quote upfront. No surprises. No hidden costs. You’ll know exactly what to expect when the bill arrives. And of course, our estimates are free. We’ll work around your schedule to perform pressure washing for you. 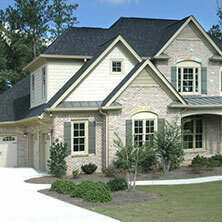 If you’re a homeowner, we can coordinate a time that isn’t intrusive on your schedule. If you’re a business owner and need our services, we can work out a schedule that suits your needs. Big Clean is flexible in its scheduling so that you don’t have to be. get in touch with us today to schedule your power washing appointment. You won’t be disappointed.